Each year at the Garagistè Festival, there are two seminars held as part of the VIP package for the Saturday events. This year’s seminars were “Exploring the Aroma Wheel” with Madeline Puckette of WineFolly.com (LINK) and “Techniques of the Garagistè: The Secret of Stems,” with Mikael Sigouin, Ryan Pease, and Stewart McLennan. “Exploring the Aroma Wheel” Seminar. “Exploring the Aroma Wheel” explored how to discover the various aromas of wine and how to go a bit deeper than the normal surface sniff of the glass. Madeline Puckette is a very good presenter and the seminar was interactive. Each table had 8 covered and numbered coffee cups, each containing a different scent. We were to begin by sniffing each cup and noting what we thought the aroma was. Then, we were provided two glasses, one with Pinot Noir, the other Cabernet Sauvignon. We were asked to sniff the glasses (some instructions were given) and to list three fruit aromas and three non-fruit aromas that we noted in each. Then, we were asked to sniff one or two of the cups again, and then sniff the wines. The experience of most people was that the aroma of the wine changed after sniffing one or two of the cups (the cups had odors like chocolate, mint, vanilla, smoke, etc.). 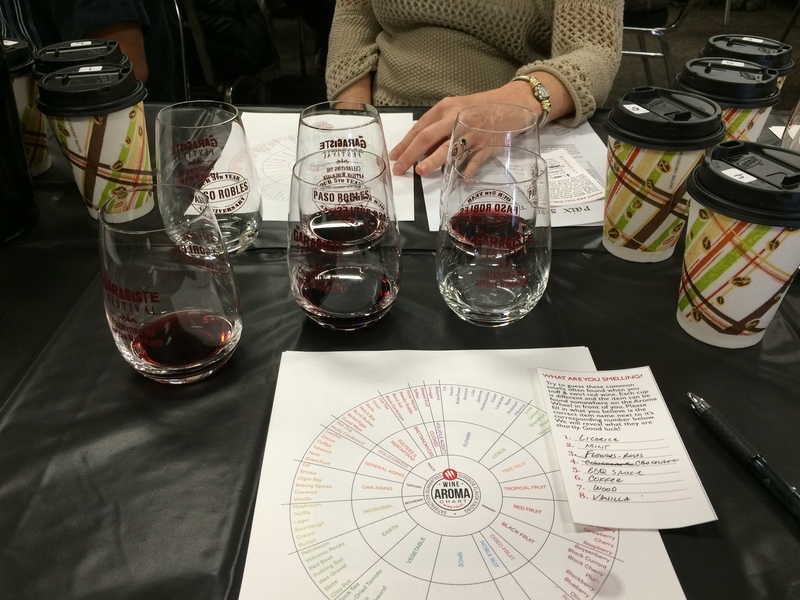 Ms. Puckette noted that sniffing the aroma in the cup tended to eliminate that odor from the wine for the person sniffing; that changed the aromatic experience of the wine. The workshop was a good experience, and yes, we did get to drink the wine. Mikael Sigouin of Kaena Wine Co., Ryan Pease of Paix sur Terre, and Stewart McLennan of Golden Triangle on the panel. 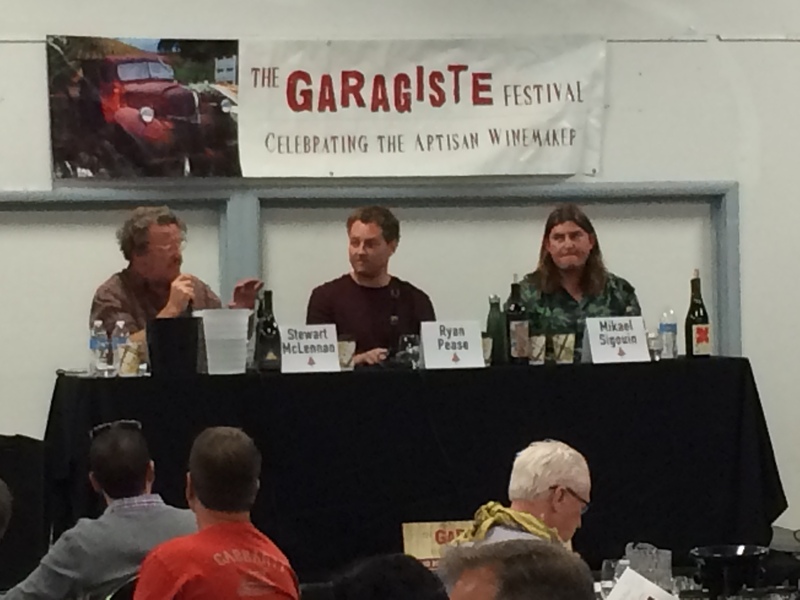 “Techniques of the Garagistè: The Secret of Stems” featured three Paso Robles winemakers: Mikael Sigouin of Kaena Wine Company (LINK), Ryan Pease of Paix Sur Terre (LINK), and Stewart McLennan of Golden Triangle (LINK). Each of these winemakers uses stems and whole clusters in making some or all of their wines. The idea is to bring more of the sense of the terroir to the wines and to broaden the flavor profile beyond the fruit itself. Each was very different in character, although all were the result of whole cluster fermentation. It was very interesting to hear what each winemaker seeks to get from the process and how this process is impractical for large-scale producers. 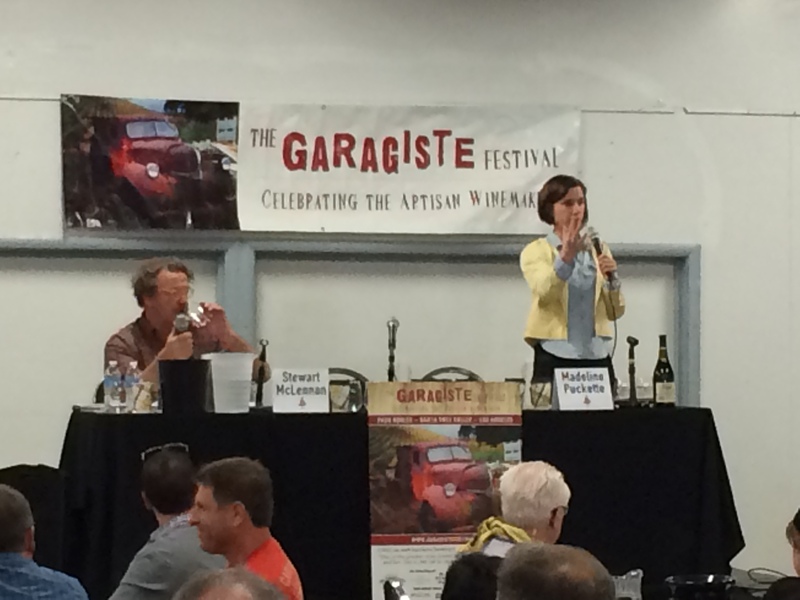 After the seminars, a lunch was served and then the VIP ticket holders had first shot at the Grand Tasting, with over 70 Garagistè winemakers, producers making under 1500 total cases each year. 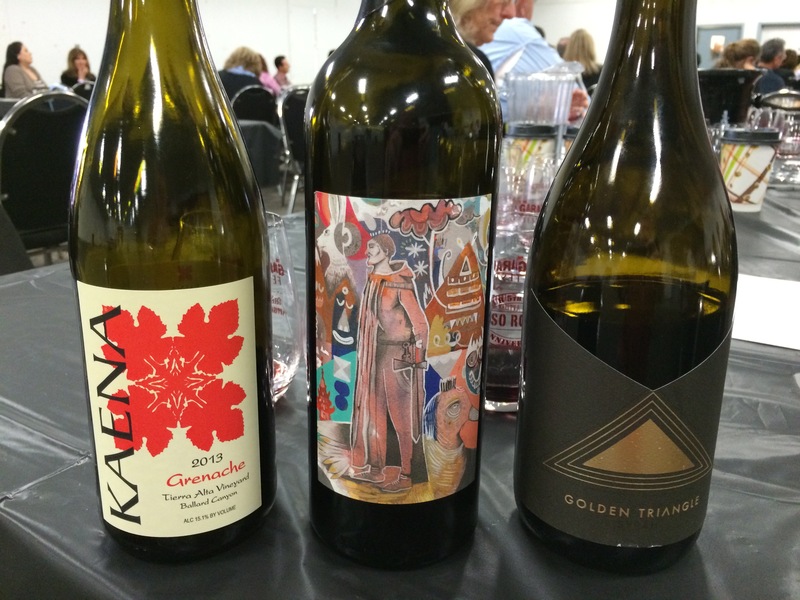 We will explore the Grand Tasting in the next post.